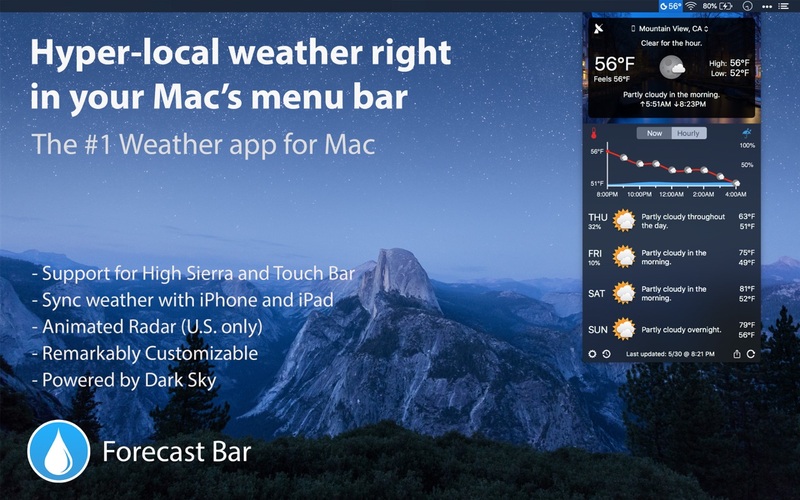 Forecast Bar 4.0.1 – Accurate, local live weather and forecasts. Next story BlueHarvest 7.0.5 – Disable DS_Store creation and more. Previous story Battery Health 5.8 – Monitor Battery Stats and Usage. Weather Guru 1.7 – A beautiful and highly accurate weather app for your Mac. Forecast Bar 2.5.3 – Accurate, local live weather and forecasts.